Join the city of Altamonte Springs to celebrate Earth Day, residents of Altamonte Villa! 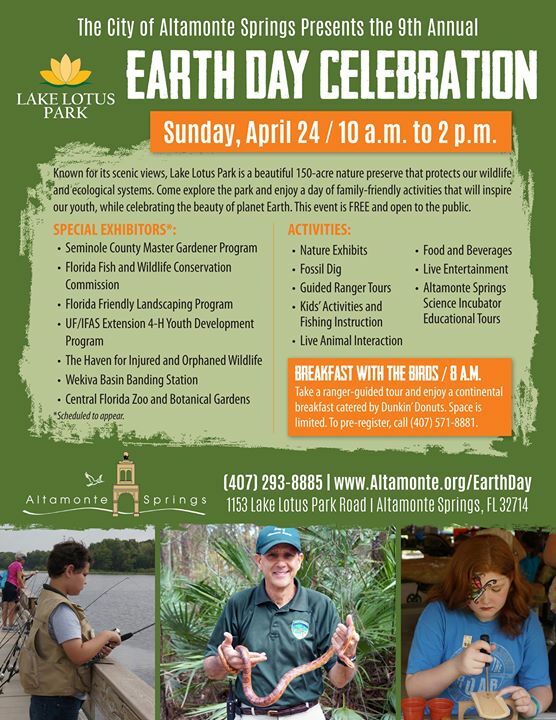 On Sunday, the City of Altamonte Springs will be presenting the 9th annual Earth Day Celebration at Lake Lotus Park. The best way to celebrate Earth Day is to be one with nature – which you can do at Lake Lotus Park. The park is a scenic 150-acre nature preserve that protects wildlife and ecological systems. Bring your family to this beautiful park to enjoy family-friendly activities while celebrating Mother Nature.